Re-filtered air is a term many scrunch their nose upon hearing. Think about breathing in and out the same air cycling through an airplane on a 3.5-hour flight from Spokane to Phoenix – you along with 150 other passengers and crew members. Though the air inside your home has more room to circulate and fewer people sharing the oxygen – with windows and doors to allow in freshness – the same concept applies. According to the Natural Air Duct Cleaners Association, the air in your home can cycle through the HVAC system up to seven times per day, taking pollutants and contaminants along with it. That’s right. The air in your home is likely dirtier than you think. Do you have pets? Does anyone in your home smoke? Have you dealt with any water damage or home renovation projects? Is your home in a city center or an area with greater pollution? Each of these factors contributes to poor indoor air quality, and can wreak havoc on asthma sufferers and others with sensitivities and compromised immune systems. Are you considering air duct cleaning as part of your spring cleaning measures this year before the thermostats switch to cool for the summer months? Here are three benefits you’re sure to enjoy. As mentioned above, the air in your home can be contaminated by a number of sources. As it cycles through your air ducts, debris is often left behind, accumulating inside. The air ducts can become clogged with dust and, in some cases, grow mold. Furthermore, an infestation of rodents or insects can occur in some cases. Having your air ducts cleaned by a certified HVAC technician will ensure your home’s airways are clear of these issues, resulting in significantly improved indoor air quality. For allergy sufferers, clogged air ducts can make for clogged noses and runny eyes, day in and day out, with no sure cause to point to. 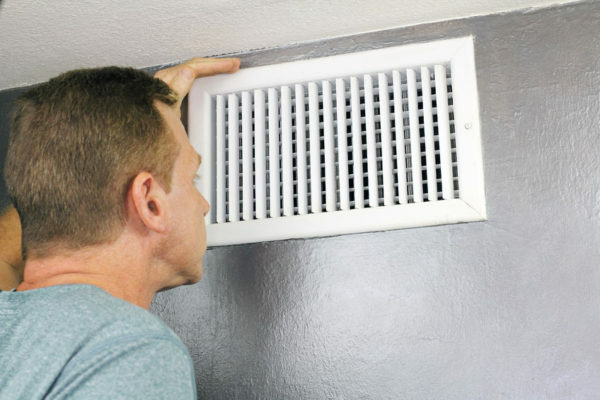 As dust and debris are pushed out of the air vents, the air you breathe lacks an adequate filter to keep your symptoms at bay. Furthermore, those with pet allergies can suffer from symptoms when inside your home, even when you’ve taken extra care to vacuum and clean every square inch of your flooring and upholstery. And when mold or rodents add to the problem, odors can range musty to rancid. Homeowners who suffer from allergy symptoms inside the home, or odors you can’t seem to rid, can find great relief from air duct cleaning by a certified HVAC technician who knows what to look for, successfully ridding your home’s air ducts of allergens and odors. Once air has the proper path to flow through without obstruction, air ducts become more efficient in energy use. And according to the U.S. Environmental Protection Agency (EPA), research has suggested that cleaning cooling coils and fans can improve efficiency, leading to savings on energy bills and repairs. Professional HVAC technicians can ensure your system is in proper condition so that unhealthy issues don’t build over time and components are less likely to need to be replaced. So, how long is too long to wait to have your air ducts serviced? There’s no tried-and-true answer here, as each system can come into contact with varying amounts of contaminants throughout your home’s lifecycle. A good rule of thumb is that, if your home smells musty or rancid – even after thoroughly cleaning – or if you or your family members’ allergies flare up while inside, it’s likely time to call a professional HVAC technician. Choosing to have your air ducts inspected and cleaned has the potential to solve your problems and allow you to breathe clean and easy once again. I enjoyed reading this blog and it was very interesting to learn these professional ways of air duct cleaning. Thank you for sharing this article to continue helping others. I feel that a dirty air duct is home to infectious diseases. A prompt duct cleaning session can do wonders for improving the overall indoor air quality.